Pay homage to the Liverpool legends of 1964 with this Liverpool 1964 Home Long Sleeve Retro Football Shirts in the traditional Red and White. This retro football shirt of the Premier League side, Liverpool FC celebrates the Football League First Division winning shirt of 1964. 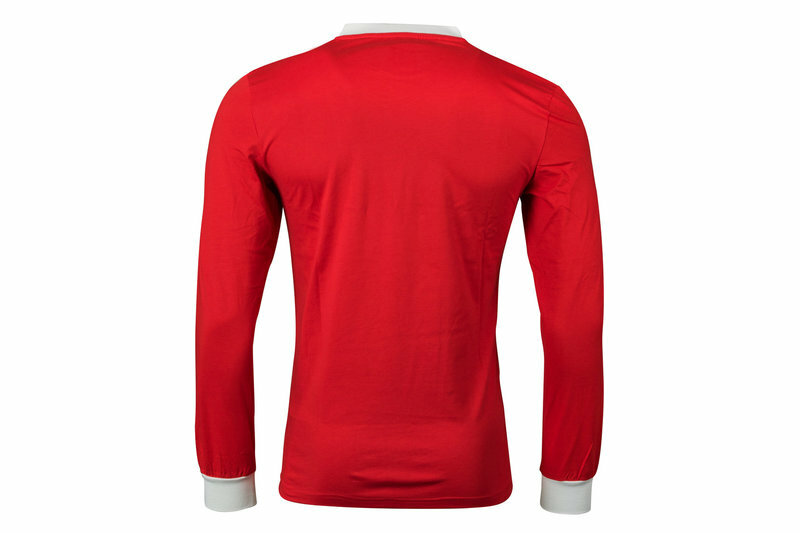 Managed by the Anfield legend, Bill Shankly, this shirt is simple in design with only the Liverp[oo FC Badge the only addition to a red shirt with white trim. Made from 100% cotton, this lightweight retro shirt will leave no one in doubt who you're supporting when you pull on this Liverpool 1964 Home L/S Retro Football Shirt.